Click here or on the picture for a full size image. algorithm will also be discussed. 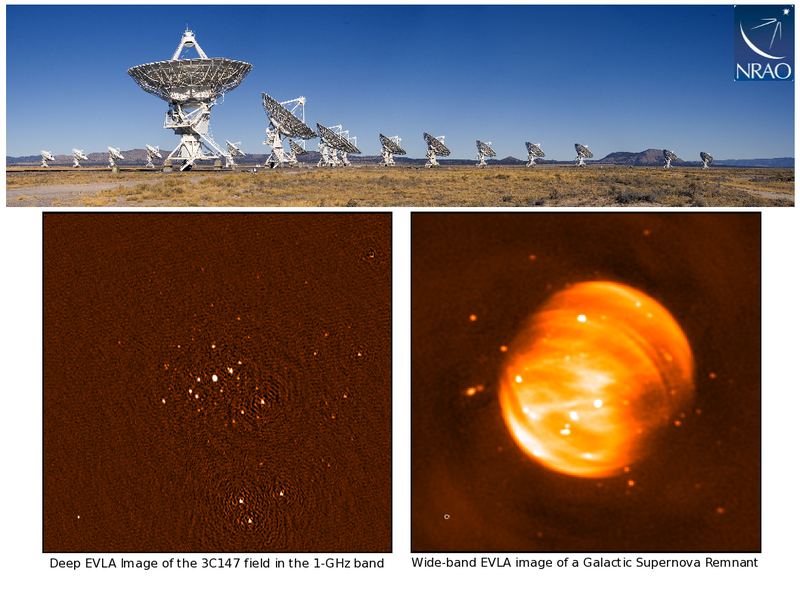 The images above, both in the 1-GHz band of the EVLA, show the two extremes of the imaging challenges. The image on the left has mostly compact source distributed throughout the field of view, with a strong compact source (3C147) at the center of the field. Image on the right is of a Galactic Supernova Remnant (SNR) where the extended emission fills the antenna primary beam with superimposed compact emission. Sources in the first side lobe of the primary beam are clearly visible in both images. Please feel free to submit an image using the Submit page.